With baby number one, I made purchases based on recommendations from my mother. I was the first person out of all my friends to have a baby. I had no inner circle to turn to. I also had no blogs to read considering I was searching for strollers in 2004. Boy, have times changed! Nowadays, as a mother of three, I know that there are a variety of factors that I deem important when stroller shopping. Besides meeting safety standards (which is a given), my choice must be lightweight and compact. Hands down. The last thing I want to do is struggle trying to load and unload that number from my car’s trunk. Today, Caleb gets driven around town in the Mamas & Papas Sola 2 MTX and he loves it. Hey! I love it too!! It’s a lightweight stroller with adaptability at its heart and added multi-terrain features for parents who love adventure. This means that I can go to the mall or I can go for a jog and not have any issues to worry about thanks to its super chunky wheels. The Sola 2 MTX gives outdoor lovers a lightweight, do-anything stroller with the potential for plenty of off-road exploration thrown in too. As you know, I’m training for a half marathon and that means that I have to spend a lot of time outside and on the road. Caleb is home all the time with me and that means that sometimes… he has to come along for my run. It’s nice to know that my daily stroller can handle more than one type of excursion. There are a few great points I need to talk about specifically. You can use the Mamas & Papas Sola 2 MTX from BIRTH which is so great! No need to worry about purchasing more than one stroller for different stages of life. 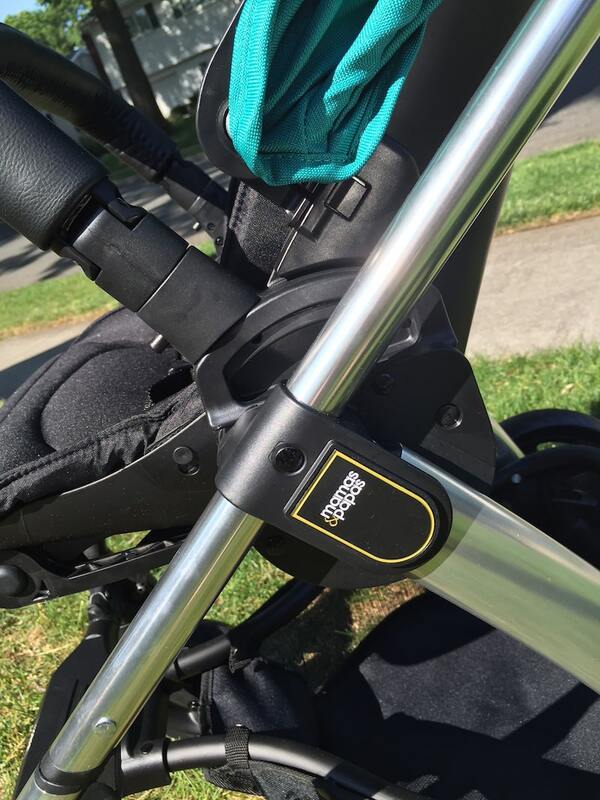 The UPF 50 fabric that is on the stroller actually protects your child from the sun’s rays. That is so critical! It’s one less thing to worry about and it acts as a second safeguard in place. Of course, I would still choose to put SPF on my child if we were planning a full day out in the sun. I’m just thrilled to know that the UPF 50 is also on my side. Caleb loves to nap while we are in motion. He sleeps best in the stroller and in the car. I LOVE LOVE LOVE that the Mamas & Papas Sola 2 MTX has a seat that completely lies FLAT. What?! That is everything. I can’t tell you how much I use this feature – basically every single time that boy falls asleep. When he is flat, he sleeps for hours and that allows me to get through my day of errands without having to worry about whether or not he is comfortable and happy. 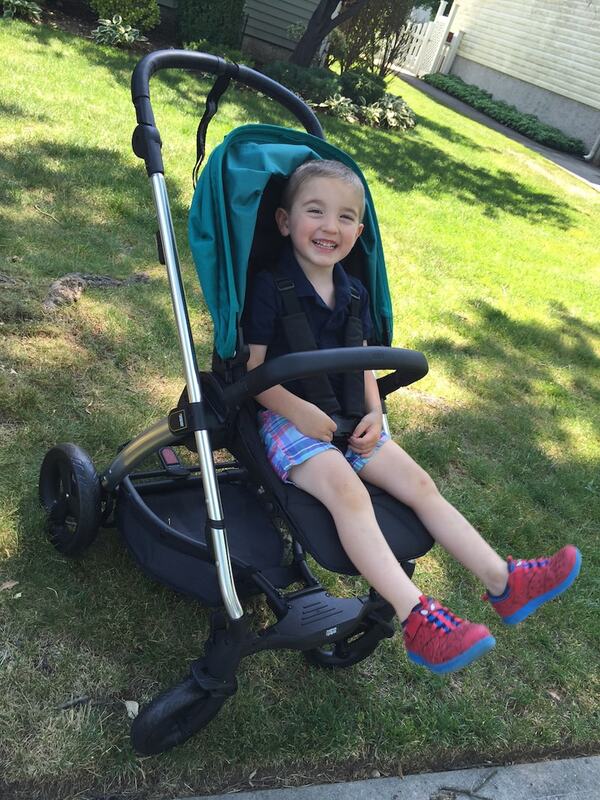 Are you in the market for a new stroller? Check out the Mamas & Papas Sola 2 MTX. For more information, click here. 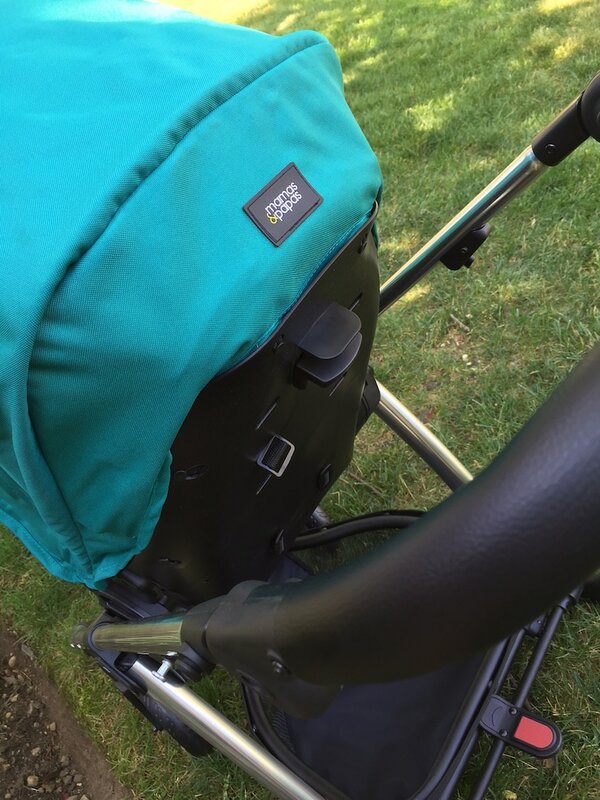 *I’ve teamed up with Mamas & Papas to tell you about the Sola 2 MTX. All opinions are my own. Oh how I wish there were strollers like this when my kids were babies. I won’t even go into what my babies rode around in. Ha! 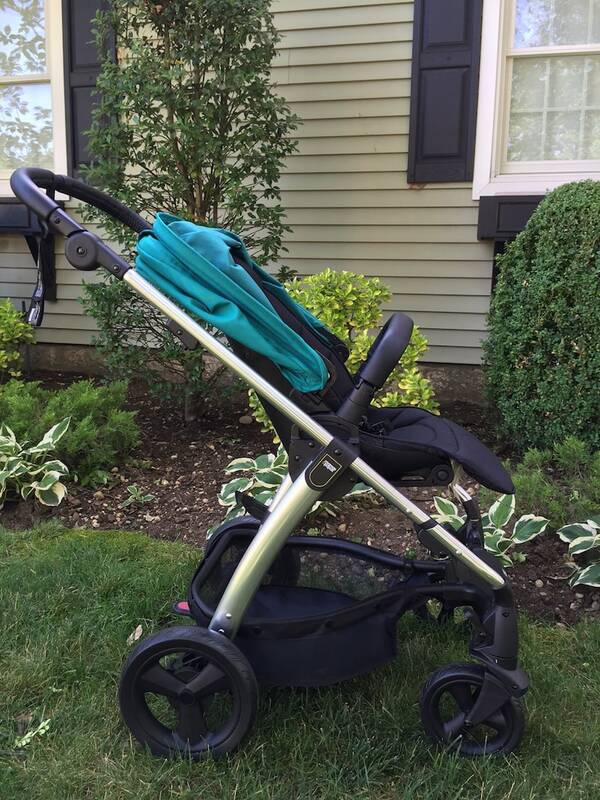 I love the convenience of this awesome stroller but especially the UPF 50 fabric. Love the sleek design of this stroller! It would be perfect for strolls with my daughter. 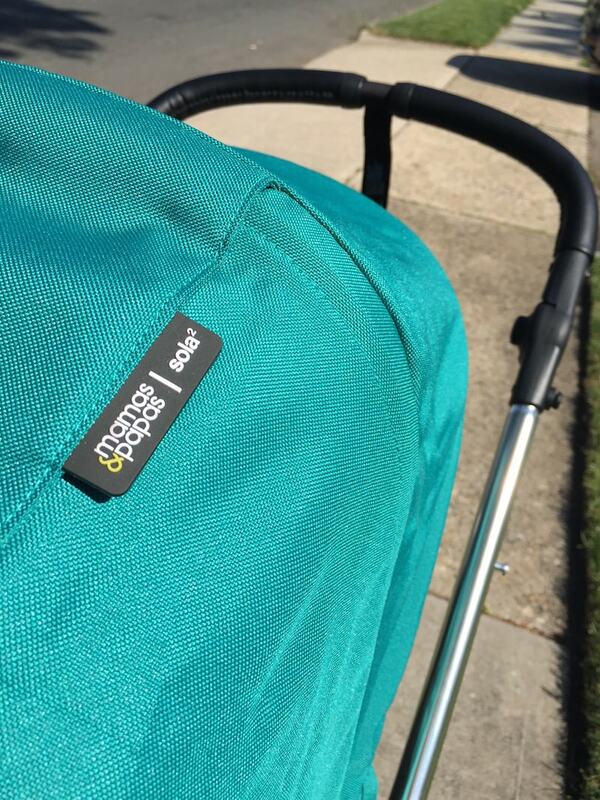 This looks like such a durable stroller to really last through years of use!I love how lightweight it is to pack up and take on the go! This would be a fantastic baby shower gift. I love how well it folds up. I would have loved one of these when my kids were younger. It looks like it would be very easy to travel with. That looks like a great product! I wish I had one when my kids were littler. It would have made life a little easier.